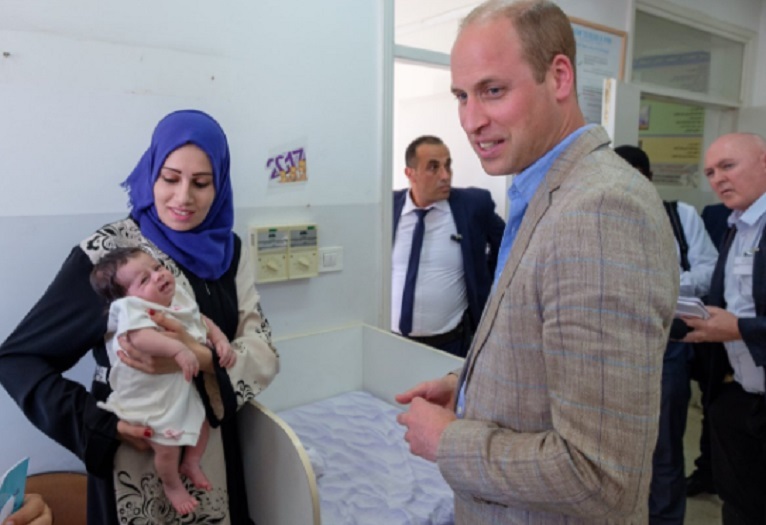 Prince William’s paternal instincts kicked in during a recent trip to Jordan, where he met with Syrian refugee children around the same age as his eldest son, Prince George. William, who is second in line to the British throne, after his father, Prince Charles, was filmed bonding with the children and asking them how old they are. “My little boy is called George, and he’s 5 years old too,” William told a young girl. The Duke of Cambridge is currently on a historic tour of the Middle East, which includes stops in Israel and the Palestinian territories, making him the first member of the royal family to do so, BBC reported. While in Jordan, William praised the country’s response to the Syrian refugee crisis. The prince was also seen touring the ancient ruins of Jerash and spoke to people benefitting from Unicef’s Makani program, which provides psychological support for parents and children from deprived countries and refugee communities, according to BBC.